This Grand Canyon helicopter tour offers an interesting addition to the main event—one that places you smack in the middle of the old American West! 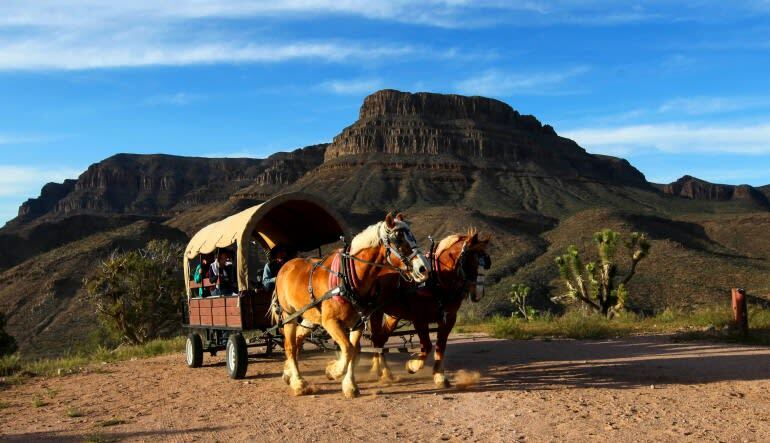 On your way to the launch site, you’ll enjoy an old-school wagon ride through the sprawling desert. And after landing, you’ll also have the opportunity to revel in a few other frontier activities that complement the day’s adventure! The flight itself takes you high above the canyon, where you’ll get some unbeatable overhead views. You’ll also fly below the West rim and get real close to the stunning formations! 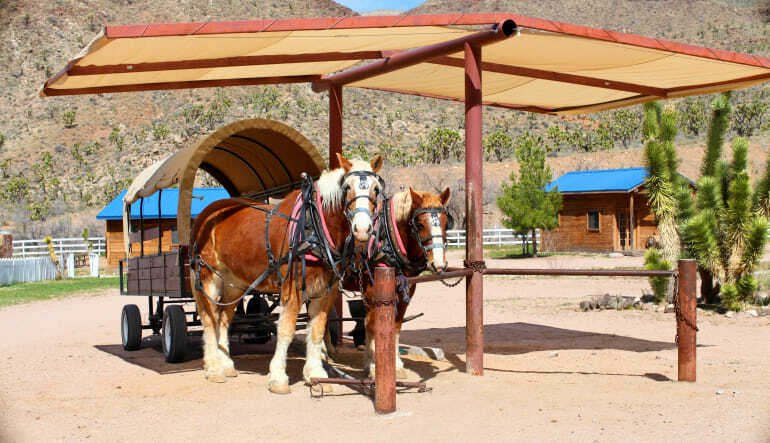 Enjoy a frontier-style wagon ride to the helicopter! 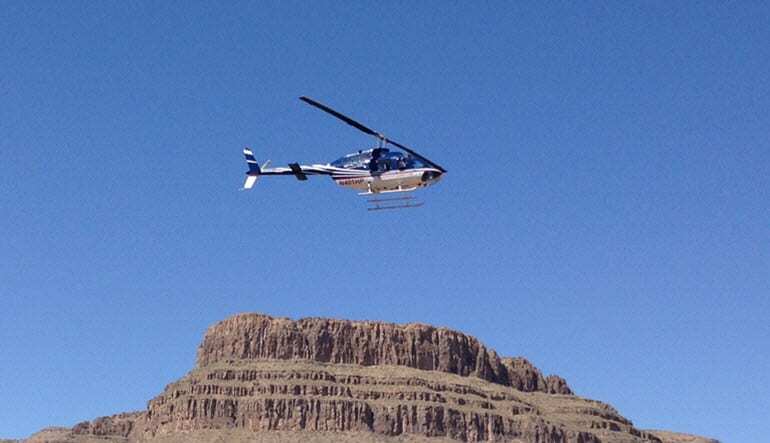 Take off and be thrilled by a helicopter tour both above and inside the Grand Canyon! 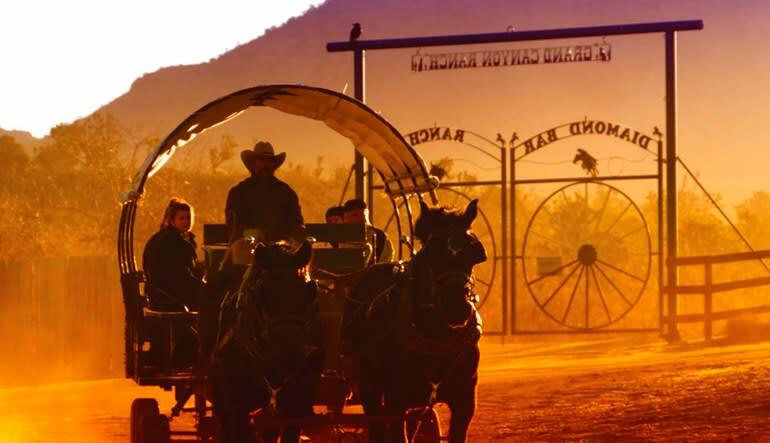 Get the real frontier treatment with a slew of ranch activities after the trip. Dig in to a Western-style meal at the dining hall. Get transportation to and from your Las Vegas hotel! This Las Vegas adventure is more than just a helicopter tour—it’s also a thrilling step back in time. See the desert as it once was from a number of enthralling vantage points!